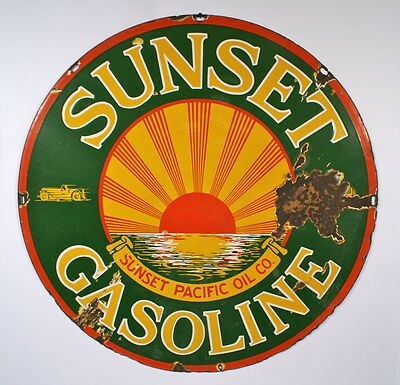 A beautiful 30″ green and orange Sunset Gasoline Sign. The tagline reads “Sunset Pacific Oil Co.” in the center. There is an illustration of a sun setting over the ocean.